Social media is simultaneously one of the most exciting and frustrating innovations to hit marketing in recent years. It gives us a direct way to interact with our audience, which is good. But it’s noisy. We’re competing with friends, family, celebrities, traditional media and lots of other brands, which is not so good. Having a social media presence isn’t worth much for your brand if you can’t figure out how to cut through the clutter and reach the people in your target audience. The best way to do that is no secret, but it’s not something brands often like to hear: You need to spend some money. But using targeted ads will help you spend wisely. Usually, the only people who will see you and the things you post are those who have already connected with you on social media. That means you’ll only be reaching people already familiar with your brand. If you want to go beyond the audience of customers who already know you, you have to be willing to pay. You can bring more eyes to your content. The people you want to reach on social media already have lots of connections and a steady stream of content in front of them. They have no reason to go out of their way to seek you out. You have to go to them. Paid ads can finally get your content in front of the many people who aren’t seeing you now. Some of them may scroll right past, but some—those in your target audience for whom the content you’re sharing is relevant—will slow their scrolling to click through. If they like what you’ve shared, they maybe even make the choice to follow you. And crucially, you can reach the specific people who matter most to your brand. Social media sites have a lot of data on their users. When you sign up to advertise with them, you get to take advantage of what they know. You won’t just be spending money to broadcast your message to everyone, you can focus specifically on getting it in front of the people who match your personas. That makes the value for what you spend much higher. Let’s take a look at how to target social media ads on four major platforms. In this section, you can target for the most obvious demographic options like language, gender and location as well as Twitter’s more complicated targeting categories. Interests—Twitter pays attention to the types of topics users frequently tweet about so businesses can focus their ads on people known for following and talking about subjects relevant to what you offer. Followers—If you have a close competitor with a large following on Twitter, you can target your ads at their followers. You know they’re interested in products or services like those you offer, so there’s a solid chance they fall into your target audience. Device—You can specify the types of device where your ad will show up. If you know your customers often use Twitter on their phones, you can set your ads to show up specifically for mobile users. Behavior—Twitter also tracks data on how users behave so it can identify who is most likely to click on ads and make certain types of purchases. Tailored Audience—The most obvious group of people that should be following you are your current customers and prospects. 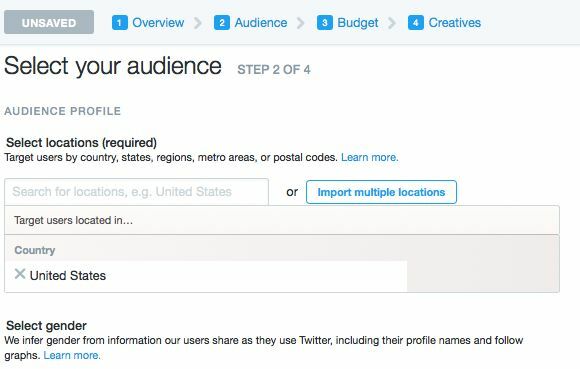 You can upload a list of contacts from your CRM to create a tailored audience on Twitter. Keyword—Finally, keyword targeting lets you choose particular keywords relevant to your products or content and target users who have recently used your selected keywords or similar ones. Facebook has created a social platform where many people are comfortable providing personal information. Because of that, advertisers can get very specific in their targeting. You can target married women with an upcoming anniversary, liberals who work in science or people in their 20s who like Game of Thrones. On this page, you can specify who receives your ads based on a few main categories. Demographics—Your demographic targeting options include location, age, gender and language. These are some of the most basic categories but are undeniably important. 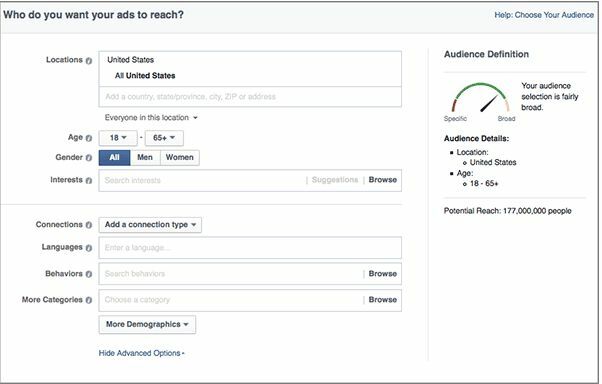 Custom Audiences—Facebook’s custom audience feature lets you target people who already have some kind of a relationship with your company. As with Twitter, you can import leads and customers for whom you already have contact information. But you also can use the custom audience feature to target people who have visited your site, people who work at businesses you’re interested in targeting, or look-alike audiences whom Facebook’s data shows are similar to the people in your custom audience. Interests—Facebook knows a lot about its users’ interests based on what pages they like, the interests they list in their profile, the kinds of topics they talk about in their status updates, and the ads they tend to click on. You can choose from a long list of interest categories they’ve created to target the people most likely to match your personas. Behaviors—Facebook collects data on the activities people take within Facebook, obviously, but also many of their actions on other sites around the web. That information makes it possible for you to target audiences based on their typical behaviors—like what devices they’re likely to use, if they frequently click on ads or their travel preferences. Connections—Finally, Facebook provides the option of targeting ads at the people who have already made a connection to you on Facebook. For the type of ads meant to move leads further through the pipeline, you can focus on people who have already liked your page, shared one of your updates or shown interest in one of your events. A Note on Instagram: Instagram offers all the same targeting options as Facebook. You actually need to go through your Facebook business account to set up targeted ads on Instagram. 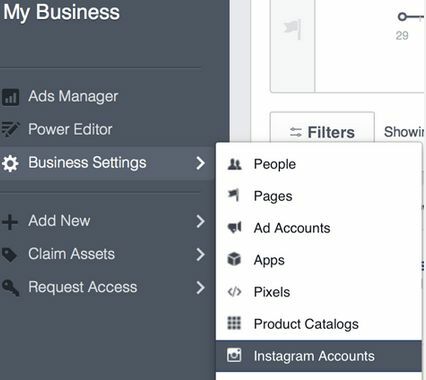 Choose the Instagram Accounts option in your Business Settings to access ad targeting for Instagram. LinkedIn ads typically are more expensive than those on other social media channels, but they pack extra value because of LinkedIn’s powerful targeting options. For B2B companies in particular, LinkedIn ads are a powerful tool for helping you focus on just the person you want to reach. Standard Demographics—As with the other social media networks, you can target users by age, gender and location. Groups—LinkedIn has more than 2 million groups, many of them focused on specific niches within the business world. That makes it easy and valuable for businesses to identify groups hyper-relevant to what you offer and target your ads at the members of those groups. Skills—People use the skills section of their profile to list not only their general business skills, but also the types of technologies they’re proficient in. For any B2B business selling software, this makes it easy to focus on the people most likely to use what you’re selling. 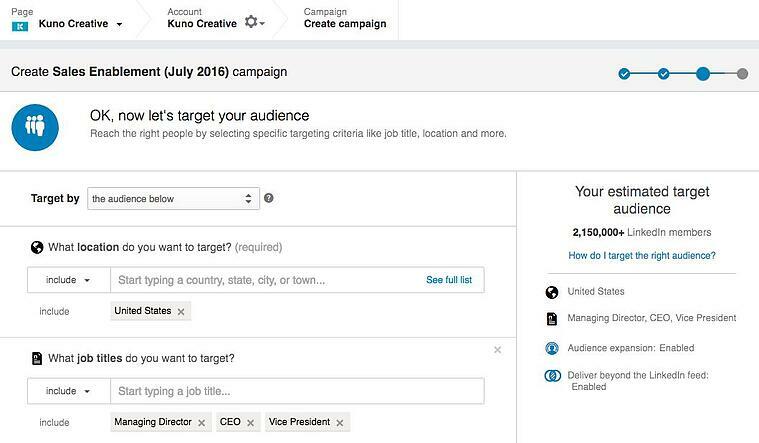 For businesses wanting to target ads at potential hires, the Skills category lets you more easily find people with the precise skills you need. Schools—People also list the schools they’re either currently attending or have attended, the field they studied and the degrees they’ve earned. LinkedIn allows you to refine your targeting based on any and all of these factors. Company—You can target companies by factors like size and industry, but you can also target specific companies. If your business has been trying to land an account with Acme Software for years, you can get targeted ads in front of the people who work there. Job Title—For B2B sales, it’s often someone with a particular job title who makes the final decision for a sale. If your company often needs to reach CEOs specifically, for example, you can focus your LinkedIn ads on people in that role. Seniority—Sometimes the people who have been working at a company the longest have the most influence—regardless of their job title. LinkedIn also lets you focus your ads on the people that have been working at a company the longest. Combine all these options and you can control who you reach on LinkedIn, creating a high return on investment for your social spend, in spite of the higher cost. Since Google owns YouTube, its ads are part of the larger Google AdWords platform. While its targeting options are a bit simpler than some of the other social media channels, it provides the benefit of having Google’s extensive data to bring into your targeting efforts. Demographics—Like the other social media sites, you can refine your ad targeting by the main demographic categories, age and gender, as well as by parental status. Topics and Interests—Based on the videos users frequently watch, YouTube can identify their interests. You can use the interest categories they offer—things like “Green living enthusiasts” and “Sports fans”—to get your ads in front of people interested in what you sell. Remarketing Audiences—Remarketing options let you target people who have already shown some interest in your company, either by visiting your website or by watching one of your videos. 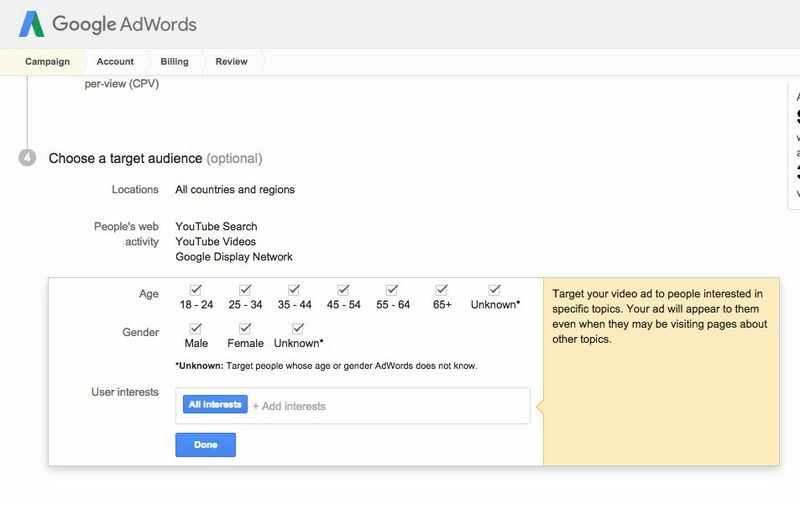 Contextual Keyword—As with other types of Google AdWords ads, you can use keyword targeting to make sure your ad shows up for relevant keyword searches people use on YouTube. While it doesn’t have quite as many specific targeting options as the other social media sites, if you’re investing in video marketing, YouTube is a smart choice for social media advertising. Social media advertising can be a powerful way to reach a specific audience. The amount you spend upfront can easily come back to you in new leads and customers. It’s just one option in the larger paid media landscape though. Get the 2017 Inbound Marketer’s Guide to Paid Media to discover the best methods for getting your content in front of the right audience.